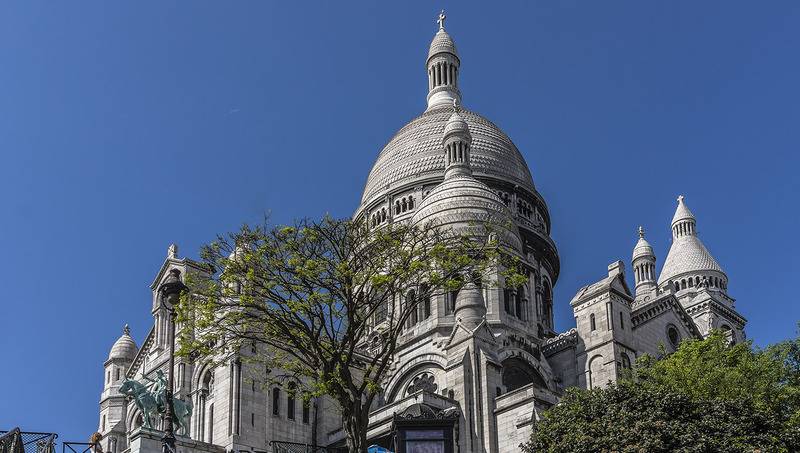 The Paris neighborhood of Montmartre is famous for its bohemian flair, and many of its cultural offerings shape the city. It's a great place to relax and take in some art - what are some places you shouldn't miss? Paris' most famous basilica was completed in 1914 and shines like a beacon. After you've climbed its white steps, it will give you a breathtaking view across the city! This collection of sculptures and paintings is the only permanent Dali exhibition in France. It's really popular though, so get your skip-the-line ticket! 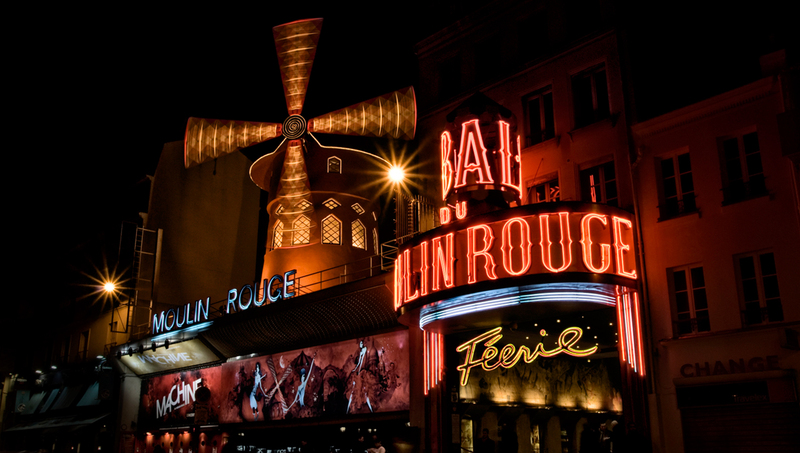 Not just a movie, Moulin Rouge is a legendary place you can visit - why not book dinner for two with a raunchy show there? 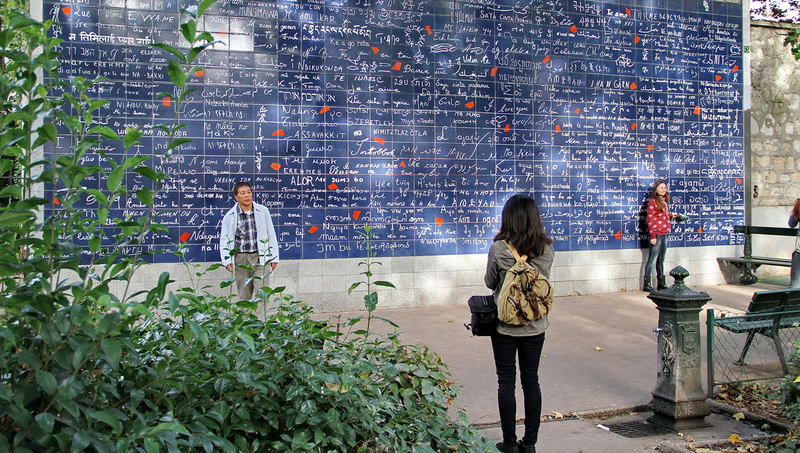 Visit the Wall of Love in the Jehan Rictus garden in the world's most romantic city! Made of molten lava, it's covered with the phrase "I love you" in over 300 different languages. 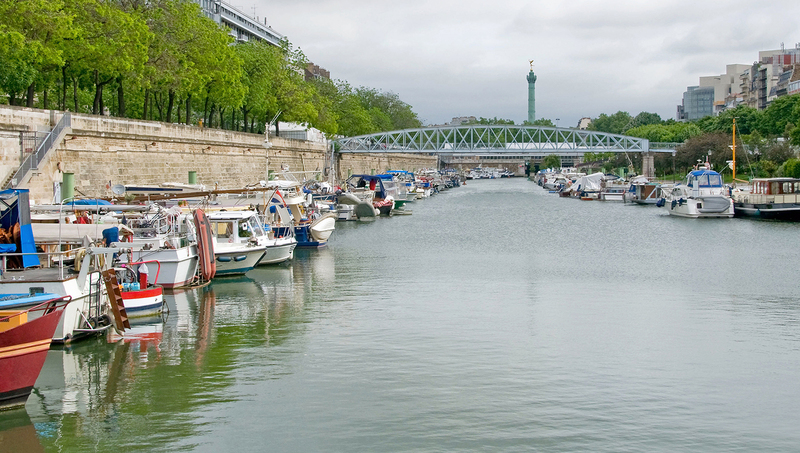 The street life along this canal summarizes the Parisian lifestyle - leisurely strolls and afternoons spent sitting outside at cafés, sampling world-class food. Unfortunately, Paris' status as a world-class tourist city means it's also rife with pickpockets. Keep valuables stashed away deep inside a bag - especially on the metro - and don't flash them around at night. While nobody's expecting you to master French before you arrive, learning some basic words here and there will get you places and cause locals to look at you favorably! If you're keen to dine at a certain restaurant, reserve in advance to avoid disappointment - and remember that the French tend to eat dinner a bit later than Americans, around 7:00PM. You don't want to spend your vacation standing around, do you? If you have your sights set on one or two major museums, score yourself a skip-the-line ticket for priority entry. Open hours vary by attraction, so check online when you've decided what you need to see. Prices vary by attraction. You can see a lot without spending much. Take line 12 to Abbesses or line 2 to Anvers or Blanche stations. Or try the electric bus, Le Montmartrobus! Try to visit on a clear day, when the view extends for miles. Be prepared to climb steps, and bring an appetite! Nice time. A time travel in the historical context! The guide was nice and had experience. Could have taken a little longer in the historical/interesting places to take pictures. This is the only item that I think needs to be improved - especially in the narrow and steep streets of Montmartre, wich means we will not go back to the photos. Eric our guide was amazing in his knowledge and his fun demeanor. Every detail of the three hour tour was as packed w information about food and Monmarte as our bellies were fed with the absolute best French pastries (sweet and savory). The last hour is a relaxed sit down lunch with scrumptious wine cheese and charcuterie. The tour ended at Sacre Couer with a breathtaking view of the cathedral and Paris. Don’t miss it but do request Eric. A very pleasant, interesting & informative experience walking through quite an unexpected village type of place in the city. A nice town square, a cute little vineyard of yesteryear & a fabulous church.